What does a pioneer in the salmon farming industry say about Fiix? [Getting Fiix up and running] was no effort at all. The timing was excellent: from the initial contact to going live on the system, it took less than a week… What I like is that I can move assets from site to site and easily bring the workers on board. I’m also impressed at how the system has grown. 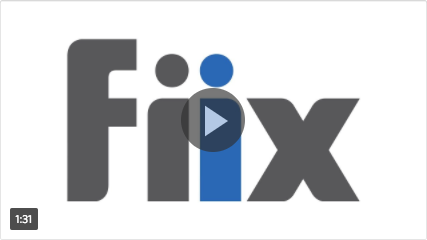 Fiix is a cloud-based CMMS that will make your current maintenance operations more efficient and provide more detailed reporting and accountability. You will be able to easily track work orders, schedule tasks, scale your maintenance operations across facilities, pass audits, monitor asset history, manage inventory, and perform preventive maintenance that will lead to longer asset life and fewer work outages. For organizations who produce and manufacture food, a cloud-based CMMS is particularly important because it allows maintenance teams to increase production, decrease downtime, and organize data that helps them pass audits and adhere to industry standards. Contact our sales team at sales-bdr@fiixsoftware.com. They will help you assess how Fiix can streamline your maintenance processes and set you up with a product walkthrough. Setup is straightforward. When you first log in, you will set up your user(s) accounts, add your assets, and then create and assign work orders as needed. There are “how-to” videos for each action you will need to take. Personalized training is also available to help you implement the system and get set up properly. How do I transfer data from my current CMMS/software?